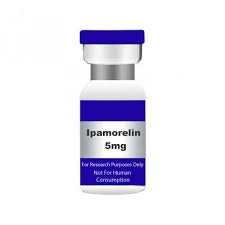 IPAMORELIN 5MG. USA MADE PEPTIDE HIGHEST QUALITY AVAILABLE. WARNING This product is a very potent peptide. This product is NOT for human use and can be harmful if ingested. This product is for research/laboratory use only. This product is NOT in a sterile solution and is NOT to be injected. This product should only be handled by licensed, qualified professionals. This product is not a drug, food, or cosmetic and should not be misbranded, misused or mislabeled as a drug, food or cosmetic. The latter article is intended for educational / informational purposes only. THIS PRODUCT IS INTENDED AS A RESEARCH PEPTIDE ONLY. This designation allows the use of research peptides strictly for in vitro testing and laboratory experimentation only. Bodily introduction of any kind into humans or animals is strictly forbidden by law.